Good morning! I hope you had a good weekend. We had beautiful weather with temps in the 70’s on Saturday. Come on Spring!!! My cards this week came from the inspiration of a card made by Maria Willis. For both cards I used Whisper White as my card base and then a layer of Basic Black and a layer of Typeset dsp. Next I die cut the Rose using the Rose Garden thinlet die in Basic Black cardstock and glued it down using Tombow glue. 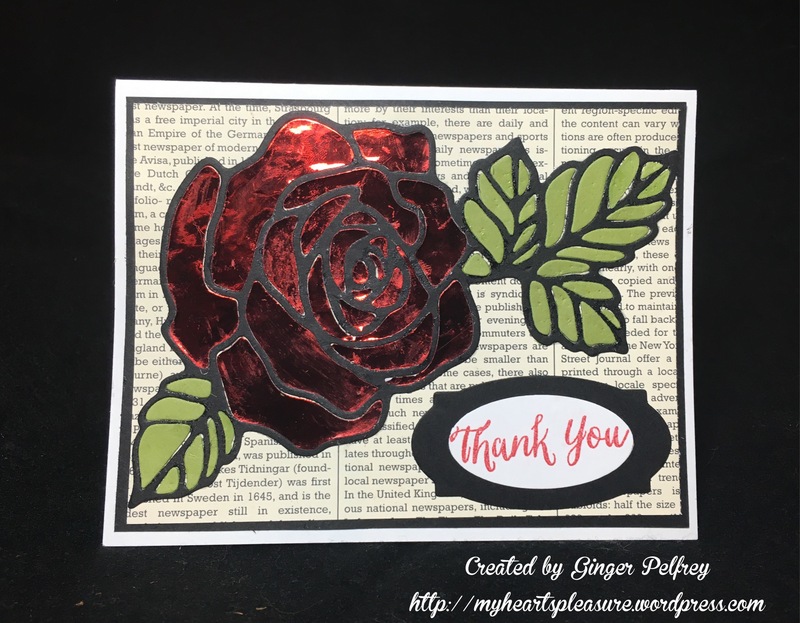 For the top card I die cut the Rose again using red foil paper and Old Olive paper. Using all the die cut pieces I paper pieced them into the Rose outline. For the second card I filled the spaces in with red and green distress glitter. 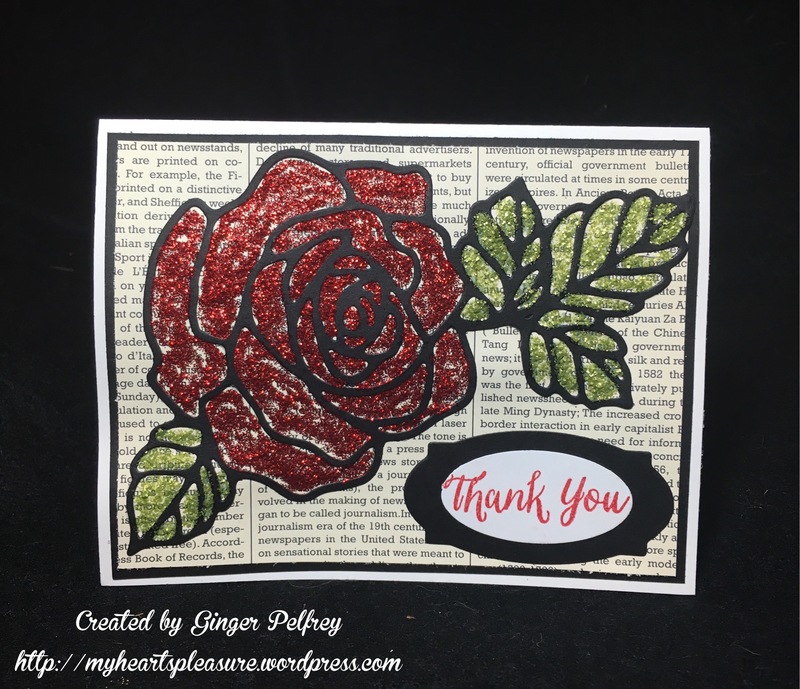 To finish my cards I die cut the label in Basic Black and then stamped the sentiment, both from the Rose Wonder set, in Real Red on Whisper White and then using the small oval punch cut it out and placed it on the label and attached to the cards. Although I like them both the top is my favorite! 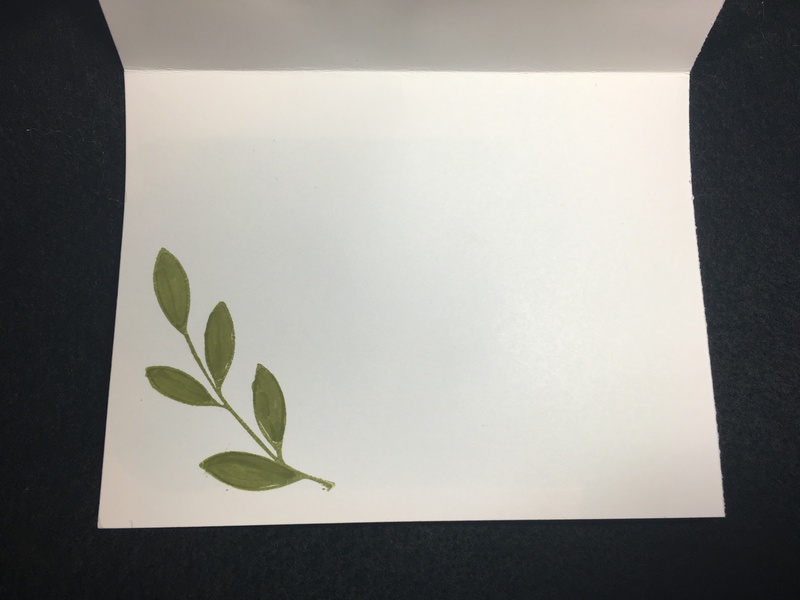 Thank you so much Maria for making such a beautiful card and inspiring me to create this too! 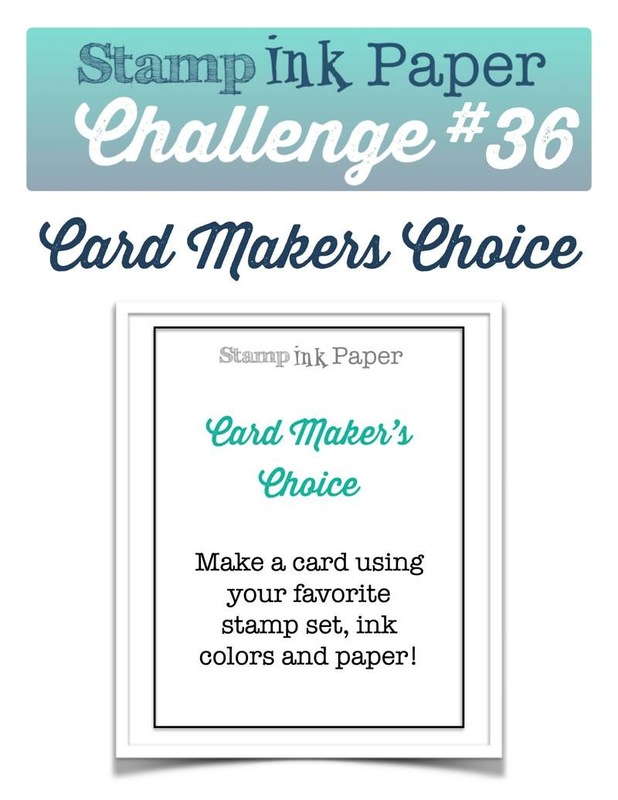 Thank you for stopping by and I hope you enjoyed my cards and have been inspired to play along with us this week! Categories: Stamp Ink Paper, Uncategorized | Tags: Basic Black, Distress glitter, Old Olive, Red foil, Rose Wonder, stampin Up, Typeset dsp | Permalink.